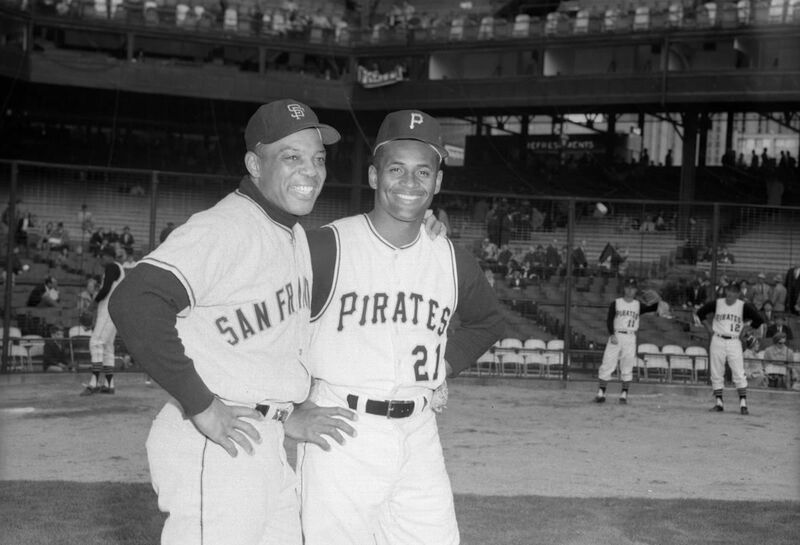 It was not often that a player would get the best of Willie Mays but that is what happened 50 years ago today when Roberto Clemente threw out a 37 year old Mays trying to go first to third on a Willie McCovey single. 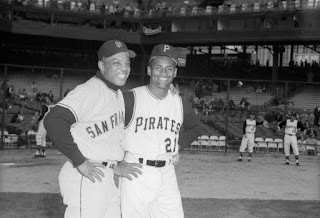 "Roberto Clemente threw me out on a bang-bang play at third. I should have remembered what a tremendous arm he had." "Willie Mays, leading off the 7th, lined a single into left for the Giants' first hit. When Willie McCovey, the next hitter, bounced a single over Donn Clendenon's outstretched glove into right field, it appeared the dam had been broken and runs would flow. Then came the key play of the game. Mays rounded second base and slowed down to draw a throw from right fielder Roberto Clemente. Mays, either overestimating his own speed or underestimating the power and accuracy of Clemente's arm, was thrown out trying to reach third. Maury Wills tagged him as he slid by." 1 run, 3 hits, 0 errors, 1 LOB. Are the Braves the Best Team in Baseball?